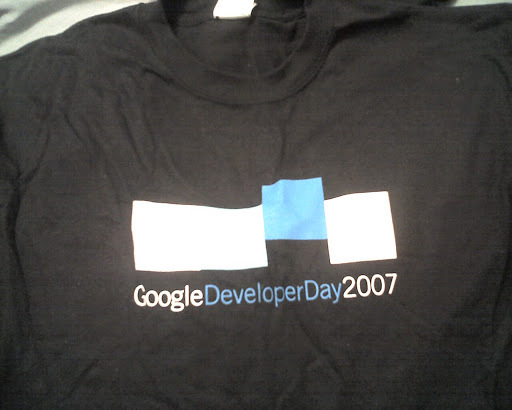 From Google’s May 2007 Developer Day. I spoke about the upcoming changes to the YouTube APIs. One thing does bug me a bit about the shirt – the blue block seems like an outsider ready to get hit by a hammer as in “raised nails get pounded down” in support of conformity.